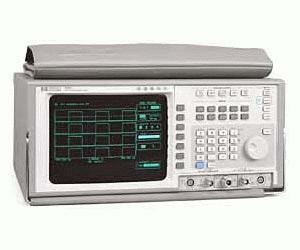 The Agilent 8992A digital video analyzer provides complete and accurate characterization of the complex pulsed signals of today. It is capable of performing seven automatic timing measurements (rise time, fall time, pulse width, PRI, PRF, duty cycle, and delay) and five automatic power measurements (peak power, average power, pulse top/base amplitude, and overshoot) with push-button ease. Front panel operation is intuitive and straightforward. The 8992A features two oscilloscopechannels permitting simultaneous measurements on the modulating and detected power waveforms. Dual-timebase windowing allows you to zoom in on a specific portion of the waveform and display it with more accuracy and detail.